Figure 1. 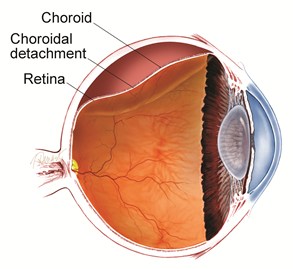 An echographic (ultrasound) image of the eye shows a choroidal detachment. 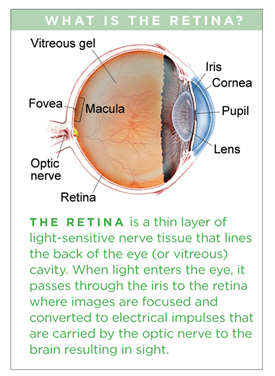 Your retina specialist can use these images to differentiate a choroidal detachment from a retinal detachment, characterize the size and type of the choroidal detachment (ie serous, hemorrhagic, or mixed), and monitor changes over time.